Bear with me as I turn this show over to the voices in my head. They’ve been cooped up for several weeks but today’s SoCS prompt seems like one I can trust to them at which they will excel. Oh, I guess they’re in control. Now that we got him to shut up, let’s take a closer look at the prompt. Dan has a tendency to pick on Linda for giving us these prompts, but we LOVE Linda! Linda gives us our shot. It’s the only time he drops those “you shouldn’t say that” “that doesn’t make sense” “why are you going there?” and that whole “OK, let me see if I can make this, shorter, more succinct, better and stuff.” Seriously, he’s cringing because we ended that sentence with ‘and stuff’ but you know what we mean. People talk like that. People might not always use the polite form of ‘stuff’ either. You know the other form. It starts with the same letter and, in this context would mean ‘stuff’ so, stuff. Your Friday prompt for Stream of Consciousness Saturday is: “bear/bare.” Use one, use both, use ’em any way you please. Have fun! Dan thought that was a good prompt, because he took a bunch of pictures of bare trees recently while walking Maddie. That’s fine, but what about the other bare? You know, the bear bear. How are we going to work that in. There’s a way to work that in if we weren’t constrained to use the polite form of ‘stuff’. You know, the expression about bears and stuff and woods. There’s also the juxtaposed version of that statement that involves the bear being Catholic and the Pope doing the bear thing. Actually, we’re not sure that’s juxtaposition. We don’t think it’s a malapropism, ‘cuz ‘bear’ and ‘Pope’ don’t sound similar. It might be solecism, except it’s intentional and it’s not really grammatical, but it’s certainly a breach of good manners. Well, it would be if we actually used it, but…the editor. This doesn’t mention ‘intentional’ but other definitions do. In any case, one of those grammar hounds in the audience will clue us into the right word. The vague reference to the editor is because, if we explained the expression with the bear and the Pope, she would derail this post. By the way, when she derails an SoCS post, it’s cancelled, not edited, ‘cuz Linda says: “no edits.” Fortunately, Linda also makes that “don’t give in an inordinate amount of thought to these posts” suggestion, which is an area where Dan has been told he really shines. Now that we’ve given the bear his time in the spotlight, let’s head back to those bare trees. The interesting thing about the bare trees is the number of critters that call them home. In fact, the very thing that made them bare is what makes the homes possible. The squirrels gather up a squirrel-ton of leaves and twigs, haul them back into the tree and build elaborate nests. It always amazes me that they put them pretty high up in the tree, and they put them on branches that are small enough to move in the wind. We should mention that Linda does allow for correcting grammatical errors. Ironically, instead of ‘twigs’ we wrote ‘trigs’ – it must be those science-nerd voices trying to horn in on this show. In any case, whether it’s science, or the love of motion, or hiding from predators, they always build those nests high, and they almost always survive the winter. Mother Nature never seems to give them more than they can bear. No bonus points for starting and ending with the word? You can see several of the nests the squirrels have built. The park is kind of sad. Earlier this week, we had very heavy fog. That’s our parking lot at work. The view from Dunkin Donuts. Bare trees and fog. Looking up the off-ramp in the fog. The power line cuts through behind the ball fields in the park. The Veterans Memorial at Veterans Park. It’s not a bare tree, but it looks like winter. Maddie decided to stick her red head in front of my camera as I was trying to snap the pine cone photo. I love the large bare trees. In the summer, there would be no sky visible behind this guy. In the upper (center) crotch, there’s a large nest under construction. This is a sunset I only see in the winter. This tree was “pruned” away from the power lines. The effort always leaves them looking a bit odd. I don’t think it’s fare that you don’t get credit for using witch bear correctly or not. Uh oh … did I mess that up? I don’t think so – did I reed it wrong? There is a lot of beauty in the bare trees and I’m always fascinated by the huge nests in them – sometimes several in one tree. I had always wondered why they built them so precariously high. Thanks for the non-sciency science explanation. If I understand this correctly, it’s the same reason why they build a sway factor into tall buildings … not that I truly understand the sway factor except that it’s important. That conversation between the squirrels was great Dan, and the sciency bits about the nest taught me something. Those Winter sunsets have an atmosphere and a pathos about them. Loved the images. Thanks Don. I’m not sure if they choose those spots for that reason, but it seems to have that advantage. Although, I’m not sure I’d like sleeping there. The sun through the bare trees is one advantage of winter. Thanks Dan. I just find the mechanics, perhaps that’s the wrong word, of Nature fascinating. The survival knowledge embedded in that little brain is absolutely marvellous. The squirrels and the birds are generally better at predicting foul weather than our weatherman. A terrific fact about the nests and the wind (I’d never figure that out! :o) and an enlightening and all-encompassing squirrel conversation. This trust… guys will never understand how hard it is to trust counter logic. It’s like trusting when a woman reaches into her blouse that she will indeed bring out her bra. Im not surf it’s “fact” but it’s confirmed observation in this area. We have very high nests that move a lot, but they survive the worst of storms. Thanks Teagan. I’m glad you enjoyed the squirrel conversation. Thanks, too, for the bonus points. I have had two cups of coffee already, but I needed a third when you were talking about yourself in the third person. :-) Hate squirrels, but I loved the conversation. Yes, you get extra credit – always. It’s a good thing Maddie likes walking because it gives you extra photo ops. And, a photo taken from the caffeine safety of a DD is always a good one. :-) Yesterday, I visited a blog for the first time and noticed that either the theme or a widget captured the amount of time it would take to read that particular post. It reminded me of a highway sign up here in the Northeast telling how many minutes to the tolls. My point, if I have one, is you’d have to add extra minutes when you do your SoCS. By the way, thank you sincerely for not too much math this early. :-) Have a great but cold weekend. Thanks Judy. Yeah, I passed on adding that widget to my blog. If it was accurate, it might scare people away. We had a demonstration back around 2000 of some writing analysis software, at work. I didn’t feel it was necessary, but the engineers thought it might be. The HR person wrote something and, when analyses the result was something like: “to complex – 12th grade reading level.” She quipped: “I’m assuming everyone here finished high school.” And, that was the end of that. 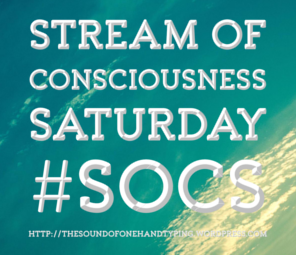 Sometimes, I just participate in the SoCS challenge. Sometimes, I feel like there’s a part of my brain that wants to take over. I feel like I’m just typing along for the ride. The posts are fun, but I’m not sure I could write like that for long. I always get confused with the person & tense, so I rarely get much conversation into these. I’ve tried doing a “from the bar” post for SoCS and it almost never works. Way too much editing required. too too fun, and not one of the squirrels I am working on this morning are in the trees. We did see a black squirrel while walking, but it was running around like crazy. I also managed to get some photos of a Hawk in one of the trees near us, but one day too late :( I’ll find a way to use that photo at some point. Dan, you’re just too squirrely when you write these. But that’s fine with me. I actually wrote a SOC draft yesterday, but as there’s a prompt, it won’t fit and I may just have to post it on my own. You can’t sway me from that. But this is the line that made me break (brake) into a grin: “Fortunately, Linda also makes that “don’t give in an inordinate amount of thought to these posits” suggestion, which is an area where Dan has been told he really shines.” It’s good to have something at which you’re better than anyone else, so congratulations and have a wonder-filled weekend (or weak end.) Oops! I guess the hounds have been released here, too, and maybe the Krakon as well! It was meant as a punny one, so good. Wow, Dan, my squirrels are so spoiled. No tree nests for them. They make holes in the insulation upstairs in my garage and sleep in there! I do know you write Science Fiction, but I thought you were one of the several people who complained about the word problem I put into a Saturday post. I’m sorry if I was wrongly accusing you. Thanks for restoring the bonus points. I think Maddie has figured out that if she ruins a photo opportunity, we spend more time walking and less stopped. I really wanted that pine cone photo and she really wanted to continue walking. Thanks again Marian – sciency person extraordinaire! Loved the squirrel conversation. The photos made me shiver. (Beautiful though) Nice job. Thanks John. It’s funny, I think the bare trees look colder than when they are covered in snow. It’s cold here today. It was 17 when Maddie wanted to walk. I told her she had to wait until it warmed up to 20. Haha! Well even I knew that about the squirrels nests, but I sure appreciate reading a non-math post about it. Imagine how I feel when right in the middle of reading, someone throws in an equation with shapes and stuff?!? It’s like someone yellin Boo! I love bare trees, because when you love all four seasons, you love the bare trees, too. Thanks Joey. I knew better than to toss in an equation (but I was tempted). It’s only when the trees are bare that I get to see the sunrise and sunsets here. ROFL! OH MY GOSH I laughed a lot! The squirrel conversation nearly brought tears to my eyes. I loved it! Funny and good post today Dan! I also love those fog images especially the one with the view from Dunkin Donuts. Thanks so much Deborah. I’m glad you enjoyed this and the photos. Today’s prompt played so well with our recent walks and my drive to work in that thick fog. Thanks! The oak tree in our neighbor’s yard is like a condominium complex. I think it has 6 or 7 nests. Geez. That’s amazing. There must be a lot of food available for the squirrels in that area. Bare with me, though I’m bare as a bear, it’s not like anyone would care! Happy Saturday! As I sit here at church, tired and ready to take a nap, I thank you for the non-sciencey stuff. My brain is currently full of squirrel stuff and not willing to think about much…at all. Ha Ha, I’m laughing at your comment, Amy. I’m glad you enjoyed this post. I think the longer I keep those voices under wraps, the faster they come out of the gate. I wouldn’t normally had added the photobomb, but people seem to like Maddie, so I thought I’d add it to the group. She can be annoying, but she’s usually pretty patient with me. Thanks again for this comment. Thank YOU for that laugh. It made for an opportunity to relax then to nap which I needed. You really are funny! The voices in your head are amazing–this was too darn funny, Dan. Those squirrels have got it right. Years ago a hurricane uprooted three beautiful maple trees in my front yard because they stood their ground; the pine trees on the side of the house swayed with whatever way the wind blew–and they survived. Watch the squirrels and learn, I say! Thanks Lois. I’m glad you enjoyed this. We pay close attention to the squirrels and birds. They usually know what’s going on with the weather. So , you have an editor . Brag , brag brag ! Some of us just have to wing it on our own , ” all by our lonesome ” as my mom used to say . Grin and bare it ! Well , maybe not totally bare . And , by the way , bears don’t stuff in the woods , with or without an editor . And , most likely , neither does the pope . You could ask Ada to read your stuff. Then you’d have an editor just like I do. Fortunately, I married someone who understands grammar. So, where do bears stuff? I don’t care about the Pope. Ada won’t do it . Thanks for the suggestion , though . I don’t know that much about bears , but I think that I’d rather run into the pope in the woods than a bear . Thanks Robin. Those voices don’t usually get that carried away. I messed the ‘person’ up a little, which probably added some confusion. I love the freedom os SoCS, but sometimes, I really could do wth a little editing. Maddie is usually very patient with me and the photos, but sometimes she wants to move on. I’m glad you liked this. I keep trying. What is that thing that “is not a bare tree but looks like winter”? Is it even a plant? And I have wondered for a while now. Don’t trees feel pain? Aren’t they aware? If they can heal their wounds . 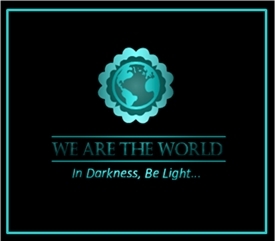 . . if they can reach deep for water and bend towards light in order to survive . . . if they can shed their leaves to minimize water loss and maximise on available resources . . . isn’t that awareness? Don’t we also do similar things? I wonder. I’m so glad you like it. Brilliant pictures. Very inspirational for beginner like me. Thank you. But your photos don’t look like a beginner took them, not by a long shot. Many of the shots are captured by Sarah. Thank you for appreciating my pictures, but I believe I am just a rookie. Me too. That’s why I asked Faith for help photographing the cathedral.